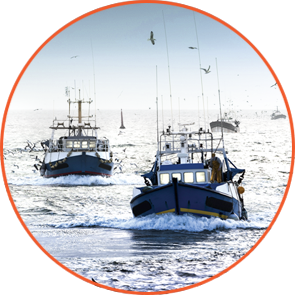 Southstream Seafoods proudly carries the three following lines: Frostmark™, Thorfish and I&J. Click the product lines below for more information on each. Thorfish products carry the Iceland Responsible Fisheries (IRF) stamp. Expect the same consistent high quality from all Thorfish items. Southstream is the exclusive import agent of Irvin & Johnson, a 100-year-old company with a strong commitment to sustainability, environmental care and social investment. Q.How do fish know how much they weigh? A. They have their own scales. Looking for cod, pollock & haddock? We’ve got you covered. Click here to see our full product lines. © 2017 Southstream Seafoods, Inc.